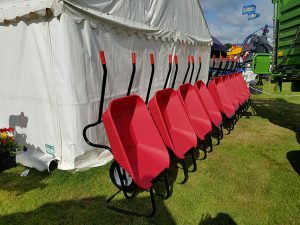 We were back at the Lincolnshire Show for 2018 with a brand new stand and brand new ideas! 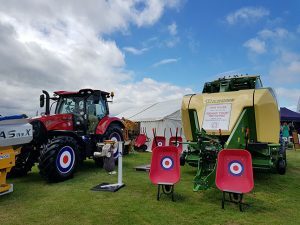 Hundreds joined us at the Showground on June 20th and 21st to see the latest machinery and technology from the biggest manufacturers. We had kit from Case IH, Husqvarna, Krone and more on our stand- it’s a real highlight of the summer for us. 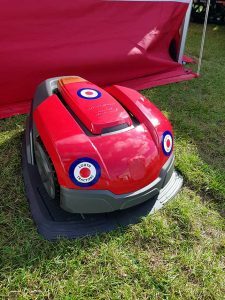 This year we had the famous ‘Red Barrow’s making an appearance at our stand, led by Red One, the robot mower, along with an original Rolls Royce jet engine! And there was ice cream from Farmer Brown to keep everyone cool during the heatwave! This year’s show commemorated RAF100 an 100 years since the end of World War One. The RAF Falcons parachuted in for the show, while fast-growing local Louth business Bottomley Distillers were there with its now-famous Pin Gin as the winner of this year’s Grow with the Show competition. More than 60,000 visitors turned out over the two days – if you came along, thanks.